Our Long Beach car accident attorney can explain that outside factors such as the economy can affect personal injury cases. Here are several ways that a bad economy can impact cases. Our Long Beach car accident attorney can explain that when the economy is in poor shape, state governments have a lower budget. This often causes the judiciary branch to be hit and not to have the funds it needs to fully function. Court staff may be cut and judges may not be replaced when they retire. Some courthouses may also close. This causes there to be fewer personnel available for trial, so there tend to be fewer trials. Judges may strongly encourage small and mid-sized claims to settle so that personnel is available to work on cases that are deemed a higher priority in that jurisdiction. 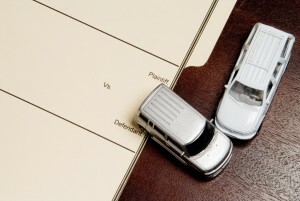 Our Long Beach car accident attorney can also explain that litigation costs tend to increase in a poor economy. When courts are underfunded, costs and fees can be raised to help provide additional funding, including mediation costs and filing fees. When victims are in a poor economy, our Long Beach car accident attorney can explain that they may also be affected by more dire financial circumstances. They may believe that they will not be able to return to work or find a replacement job. As such, they may be more desperate for a high settlement. They may unrealistically believe that the settlement is their only way out and may refuse to accept a fair settlement due to these unrealistic expectations. In other cases, the victim may be so desperate to get out of debt that he or she accepts a settlement well below the value of the claim. Some victims will exaggerate their conditions or even make up claims in order to receive a fraudulent payout. Health insurers are usually entitled to be reimbursed for the medical expenses that they covered if the victim receives a settlement or judgment. In some cases, a lien reduction on medical bills is requested in order for the victim to receive a slightly higher payout. However, in bad economies, these insurers are less likely to agree to lien reductions. For more information on this topic, contact a Long Beach car accident attorney from Russell & Lazarus APC by calling (949) 851-0222.